They Tell You “ What ”. . . We Teach You “ How ” . 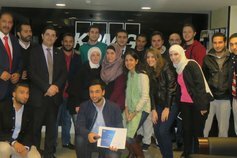 Here at KPMG Jordan we are passionate about providing our clients, both local and regional, with an efficient and high quality service. We do this by empowering our employees and reaffirming their role as our most valuable asset. We are always pursuing higher and higher levels of excellence and are quick to embrace the challenges that lie ahead. 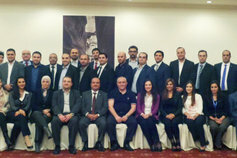 This is how we are able to always provide indispensable knowledge for the benefit of our clients, our people and region. In a world where the competition for talent remains intense, we want to lead by example and be recognized by what we do and how we do it. We can only know that we are the best choice for businesses by ensuring that we are the best choice for people, and this is why our people strategy is deeply embedded in our corporation and its culture. Our strength lies in our people, but it also lies in our values. 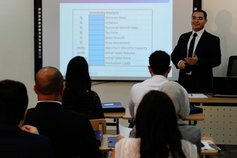 We believe that by reflecting each individual’s unique experience, we reflect and distinguish who we are, what we believe in and how we work. 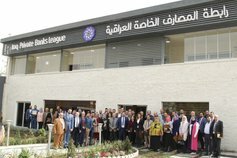 We believe that the qualifications of our team of professionals uniquely fulfill the marketplace challenges presented by the various industries and the different ranges of expertise in Jordan and the Middle East. Therefore our commitment, as a team, as a firm, and as a global leader is to always seek the facts and to provide insight on them. To always maintain our respect for the individual and above all to always act with the utmost transparency and integrity. 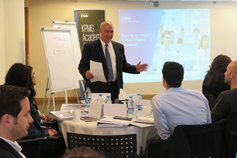 KPMG Jordan conducts workshops to major banks in Iraq. It comprises four equivalent exams in distinctly different subjects. We offer you wide choices and options to help you get the latest IFRS updates.